MHP is understood to be searching for a new head of its consumer financial services division. PRWeek understands that Claire Burston, MD and head of consumer financial services, is in talks with MHP over the terms of her departure. 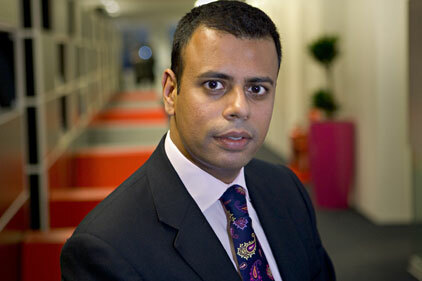 Sacha Deshmukh, MHP chief executive, said: ‘Our consumer financial services practice has grown by almost 30 per cent this year and we are looking for the right people to bring into the team who are going to be able to drive it forward by another 50-100 per cent in the subsequent 12 months. The agency is also understood to be in talks over the departure of a further two associate directors, although these individuals are not thought work in the consumer finance division. Burston worked at Penrose Financial before its amalgamation with Mandate and Hogarth to form MHP. Meanwhile, the agency has appointed former Bell Pottinger director Mark Herbert as a MD working across its corporate reputation and financial & investor comms practices. Herbert was formerly Bell Pottinger Corporate & Financial, before leaving in early 2010 and working as an independent consultant. Before that he was director of comms for FTSE 100 aerospace and automotive company TI Group. He has also advised on a number of geo-political projects, including advising former South African President FW De Klerk’s Global Leadership Foundation, and Mikhail Gorbachev’s international charity, Green Cross. Engine Group merged the Mandate, Hogarth and Penrose Financial brands in September 2010. The combined agency has over 150 employees.